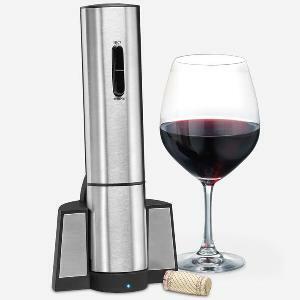 Prize: The Cuisinart Wine Opener Set is the perfect gift set for the wine-enthusiast. The set includes a lever corkscrew with replacement corkscrew, foil cutter, and a wine pour with a stopper. This ultimate set makes a wonderful gift or addition to home bar! Statistics: This contest was opened by 110 and entered by 10 ContestChest.com members. 9% of those who opened the contest, entered it.